When it comes to men’s fashion and lifestyle, Gentlemen’s Quarterly magazine, also known as GQ, serves as a complete roadmap that incorporates the latest styles, fashions, and everything else that drives the interests of men everywhere. Buy a single copy or subscription to GQ Russia magazine. GQ is a world renowned publication that sets the standard for what men need to know. Additionally, GQ eloquently holds the interest of their readers by offering a whole variety of features that are targeted specifically for men, including cars, women, culture, watches, and a lifestyle that portrays adventure, love, and luxury. 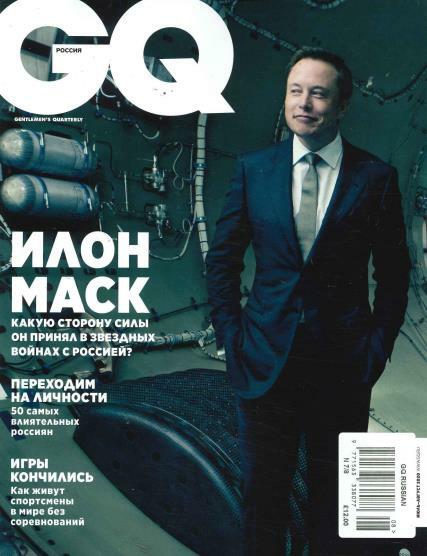 GQ Russian is the Russian version of this magazine, where all the top brand designers like Louis Vuitton, Bulgari, Gucci, Pamerai, and many others target their Russian readers by adding a bit of Russian specific culture to all their advertisements and articles. Also, even the models, actresses, and other beautiful women featured in their publications all have a bit of Russian style and culture blended in with exquisite photography that features Russian architecture and wilderness. The well-dressed male models compliment half-naked women in fur coats and boots while creating this full picture that exhibits a fabulous lifestyle that any young man would strive for. Fast cars, designer watches and clothes, beautiful women, and a dream to accomplish anything one would want to are all mixed well with this cultural and lifestyle magazine, while at the same time featuring the latest news, the best movies, and everything one would need to know about camping and hockey.